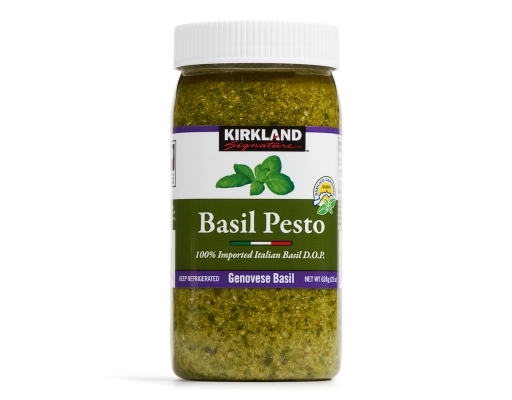 Any dull plate of pasta or boring slab of toast could be revived with an aromatic spread of basil pesto. This is a divine combination of luscious olive oil, fragrant basil, and other flavorful seasonings. Basil blend (basil d.o.p. 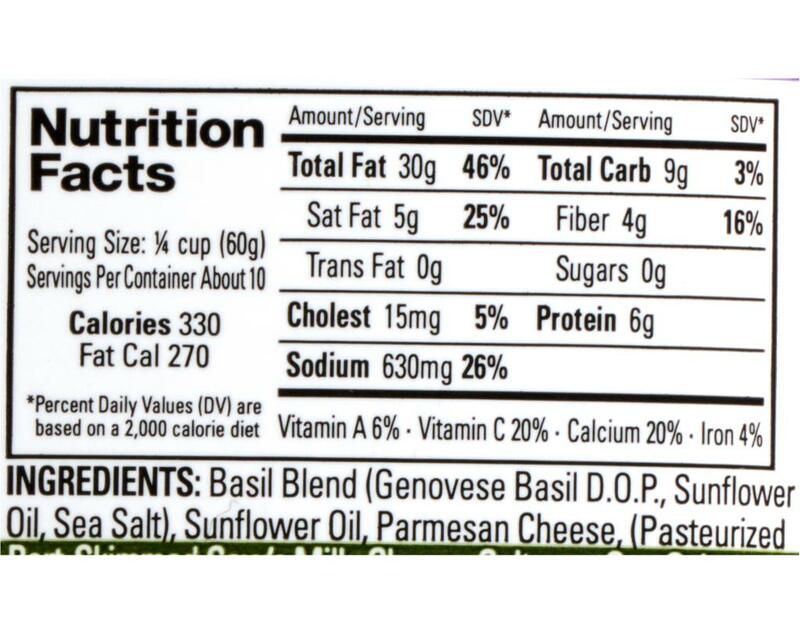 genova, oil, sea salt), sunflower oil, parmesan cheese, (pasteurized part-skimmed cow's milk, cheese cultures, sea salt, enzymes), pine nuts, extra virgin olive oil, pecorino romano d.o.p. cheese (sheep's milk, rennet, salt), fresh garlic, ascorbic acid, citric acid, black pepper.